Given the wealth of piano trios around at the moment, it would take something special to find new forms of expression in this format. And yet, this trio does exactly that, which is all the more surprising as this is the trio’s debut and the players are all under 30 years of age. 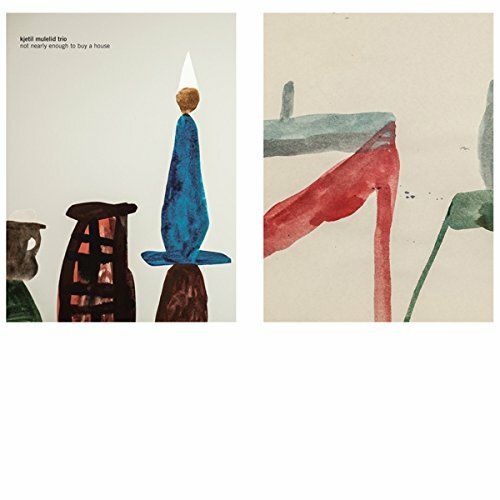 The freshness they bring to the trio format is probably why a label like Rune Grammofon wants to add them to its roster. It is also worth noting that, unlike many of the piano trios around at the moment, this is a trio that is entirely acoustic, with no electronic effects, and playing music that is entirely jazz. Admittedly, a spiky contemporary form of jazz, but with no excursions into the realms of dance or rock that some trios have been making. Mulelid, a graduate of Trondheim’s NTNU has a delicate touch and a disarming talent for dissonance. His playing sort of creeps up on you; just when you think you’ve placed the root of the melody, he takes a couple of side-steps and turns things inside out. There is a playfulness in the way that he and his fellow band mates create and subvert expectations. This is particular apparent in track 5, ‘C & R’, which is a free improvisation. But there is also a depth to the way that Mulelid builds the compositions on this set. Some of the tunes, like track 2 ‘Fly,fly’ and track 8 ‘Leaving home’ wear their religious inspirations, creating a shifting movement from liturgy to gospel choir and back again. Other tunes have more of a folk sense to them. On some tracks, particularly track 7 ‘time / breath’ and track 9 ‘last three words’, the group explore the tonal possibilities of their instruments, with Mulelid working inside his piano, Winther working up all many of percussion effects and Hegge bowing and plucking the bass in haunting echoes of the tune. There are also some finely wrought tone poems, that tell elliptical stories (perhaps stories that match the peculiar shapes and figures in Kim Hiorthoy’s cover art). These tracks (4 ‘you stood there in silence having nothing to say’ and 6 ‘from someone’s point of view’) are stand out tracks in an excellent set. This is highly recommended – if you think that the piano trio has nowhere new to go, here’s a group that will prove you wrong.